Transfiguration School drawing by Calvin. Recently CSF had the pleasure of meeting with students from Transfiguration School. 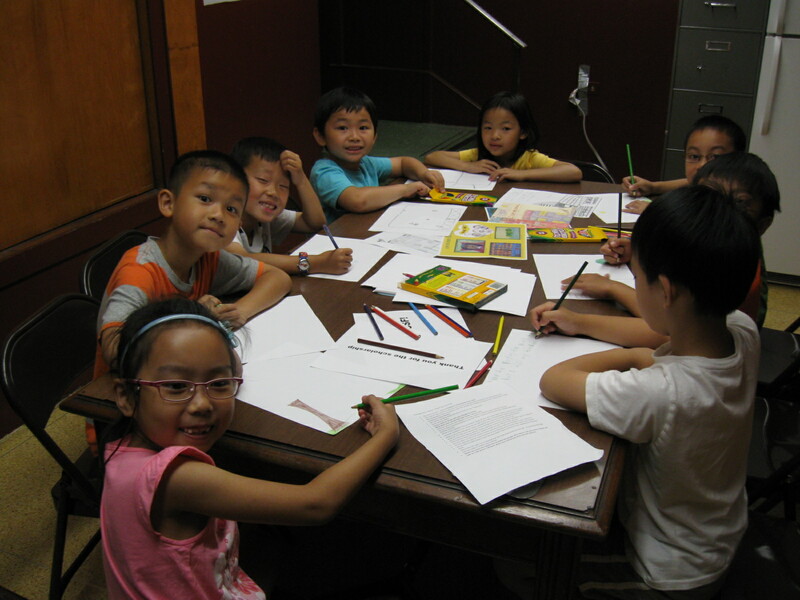 Located in New York City’s vibrant Chinatown community, Transfiguration was originally founded in 1832 to educate the children of immigrants. Today, Transfiguration is a high-performing pre-K through 8th grade school whose students consistently receive superb marks on NY state exams as well as gain admission to the city’s top specialized high schools. 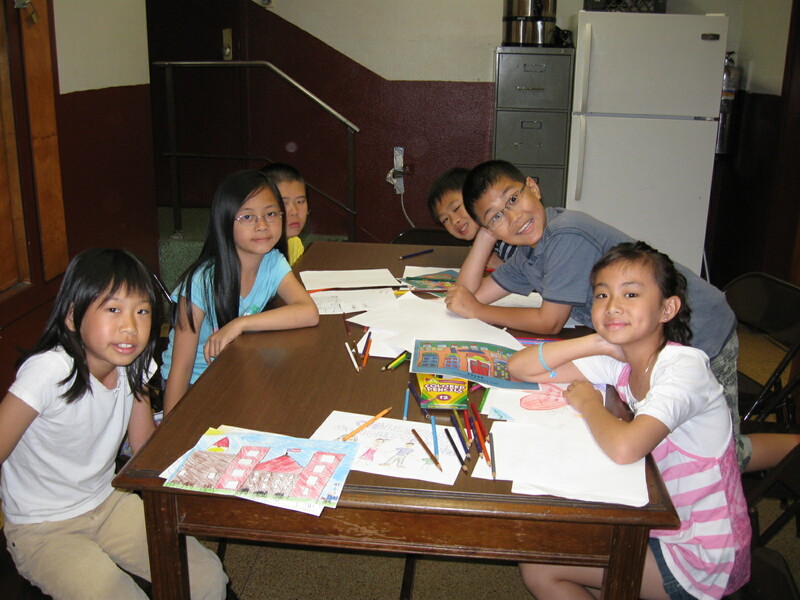 During the 2010-11 school year, 56 CSF Scholars attended Transfiguration. In addition to its regular school-year program, Transfiguration also hosts its Summer Institute for Critical Thinking. The Summer Institute allows students to take academic classes that prepare them for the next grade level as well as participate in a number of enriching extracurricular activities. Twenty-two CSF students are attending the 2011 institute, and we had the chance to meet with some of these students for a morning of drawing, coloring, and generally having fun. First we met with a group of rising 2nd and 3rd graders. 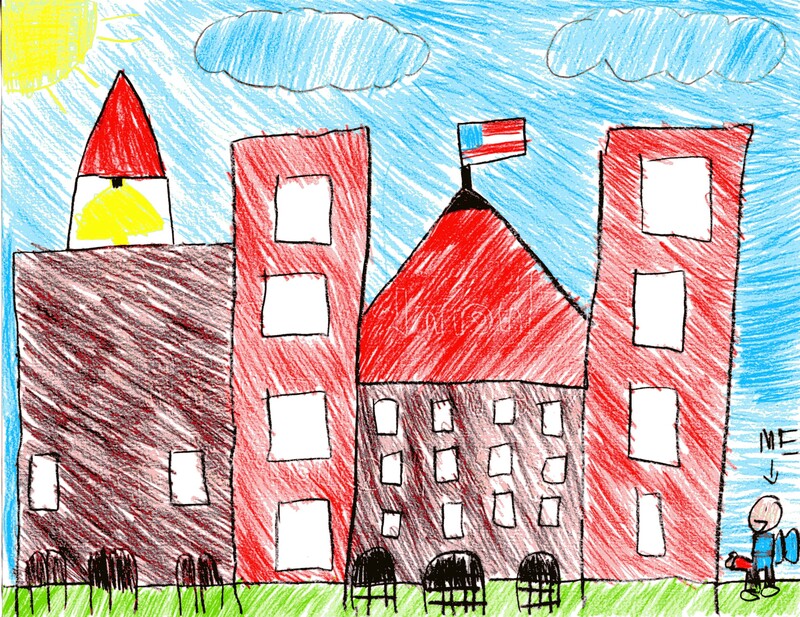 These students may only have been seven and eight years old, but they certainly were talented artists. Among the different drawings we had a beautiful sunny day, a view of the Canal Street subway station, and even a fire breathing dragon! 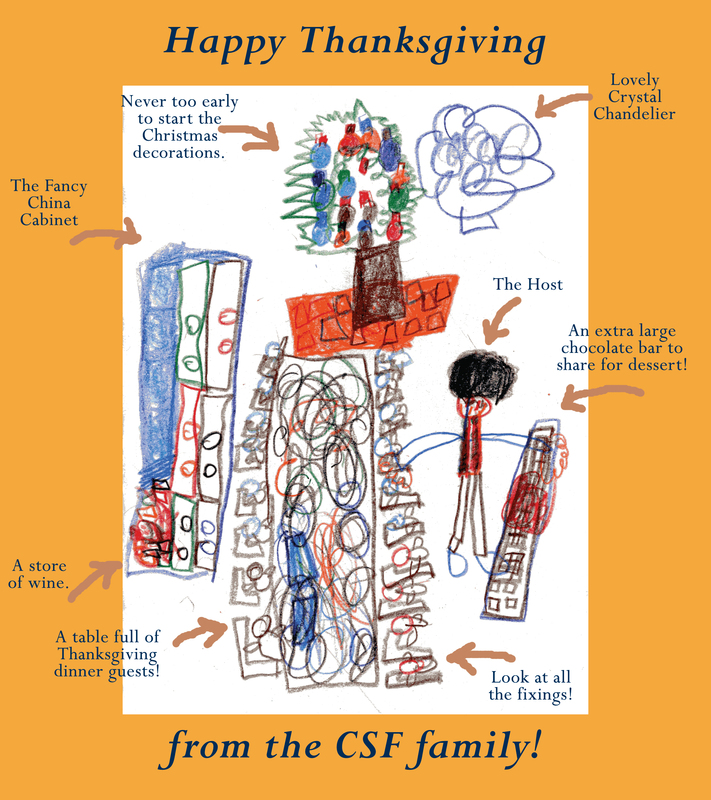 The group of 4th, 5th, and 6th graders also drew pictures and wrote notes in appreciation of CSF supporters. It’s great to see what an impact CSF scholarships have. Many of the students we met with had transferred to Transfiguration from public school just recently and told us how much they enjoyed their new school. Visiting schools like Transfiguration reminds us how important parental choice is in the lives of deserving children like these students. CSF had a great time visiting, and we thank Principal Taharally and Mr. Farge for being wonderful hosts. All of the Transfiguration students we met were kind, intelligent, creative, and really love their school! We hope we can come back and visit again soon. Sean with his drawing of a soccer game. 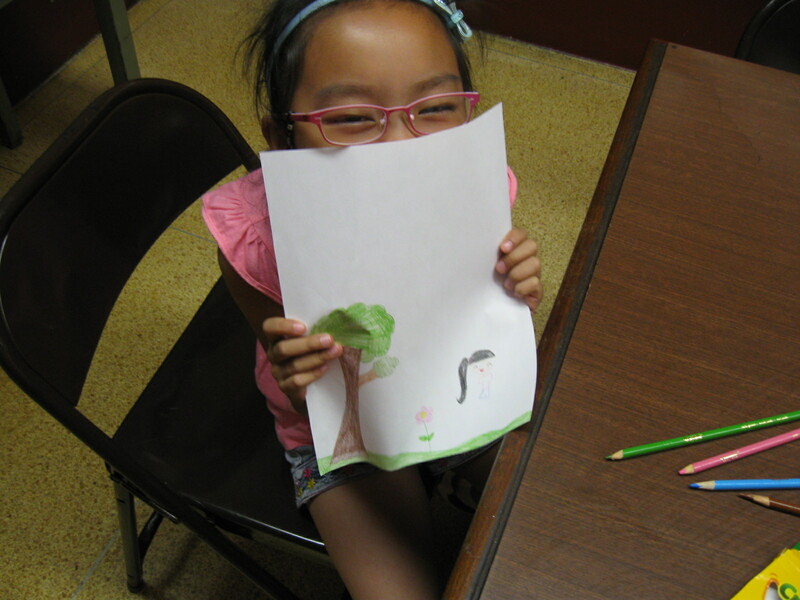 Cindy drew a picture of herself on a sunny day in the park. 4th, 5th, and 6th grade CSF Scholars at the drawing table. Making silly faces is fun! On a recent school visit, we had the pleasure of meeting several CSF Scholars at Ss. Joseph & Dominic Catholic Academy in Brooklyn, NY, where more than half of the student body uses a CSF scholarship. 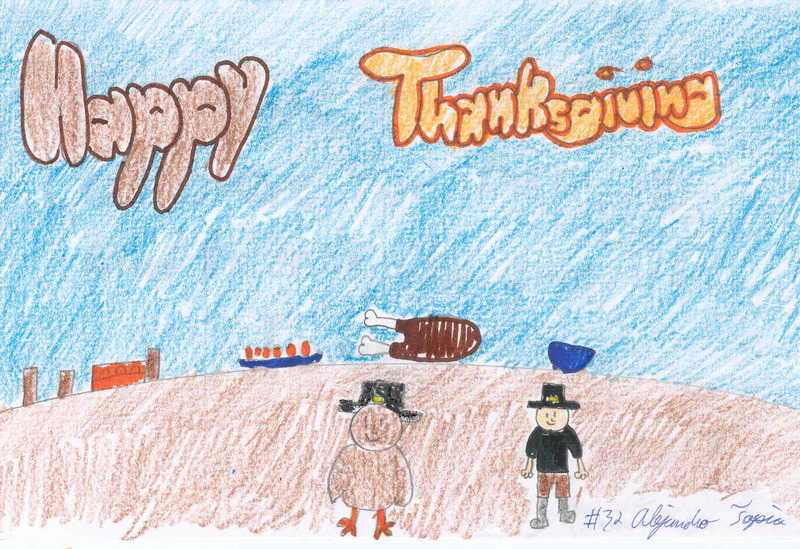 CSF Scholars spent some time thoughtfully drawing holiday cards expressing their thanks for the scholarship assistance made possible by CSF supporters like you. Isn’t it just marvelous? Yes, we thought so too! We would all be so lucky to attend such a lovely dinner. Thank you, Christopher, for sharing your work with us. Here at CSF, we have a lot to be grateful for too. Thank you to all the wonderful individuals and foundations who have supported us this year. We are also extremely thankful for the dedicated CSF parents and guardians who are our partners in giving access to quality education to thousands of children year after year. Our work wouldn’t be possible without all of this support, so thank you for all that you do. On behalf of the entire CSF family, we wish you a Happy Thanksgiving! On behalf of the CSF family, we wish you a happy thanksgiving! From student in Los Angeles. Madison is only six years old, but she exudes confidence, patience, and intellect. While her mom, JoseAnn, was in the office filling out her requalification papers for the scholarship, Madison patiently colored. Her picture started off small, with one square at a time, but flourished into a sort of storyboard that she titled, “The Cat and the Dog.” Watching her color, you could easily see that she was thinking carefully about each choice and that it was more than just drawing a picture. Pondering what to draw for her last square, she looked up from where she was coloring at the CSF office, and saw the American flag. She inquired intelligently about the stripes, asking how many stripes the American flag had, and then decided to dedicate her last square to this knowledge she acquired. After about 45 minutes, she happily finished her drawing, signed her name, and gave it to us. We were very happy to meet Madison because she is so self-composed and bright. When asked about her summer and her school, Our Lady of Snows (which she has been attending since Kindergarten with her CSF scholarship), she warmly stated that she was ready to go back to school. Her mom, JoseAnn, tells us that Madison is the most punctual six-year-old she has ever met. She looks forward to school and refuses to be late so she is up on time and at school by 8:20am. That’s earlier than our office opens! JoseAnn also says that Madison is excelling academically and socially and can tell by the vocabulary she uses and the way she interacts with her classmates. Madison and her school seem to be a great fit, and we are happy that the scholarship has made this possible for them. During the 08-09 application period, many families visited the NYC office, and CSF staffers had the pleasure of meeting new parents and students, while also seeing old faces. 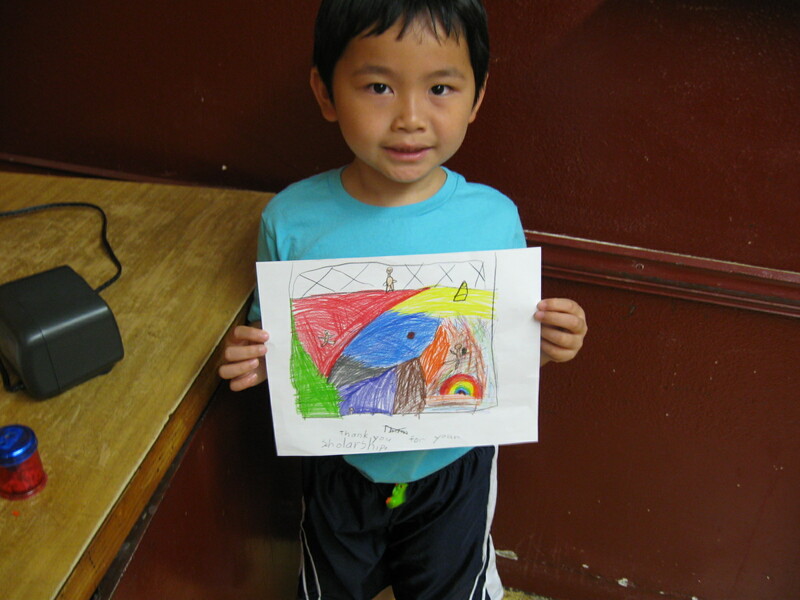 On these visits, parents dealt with applications, and the students graced us with their artistic talents. 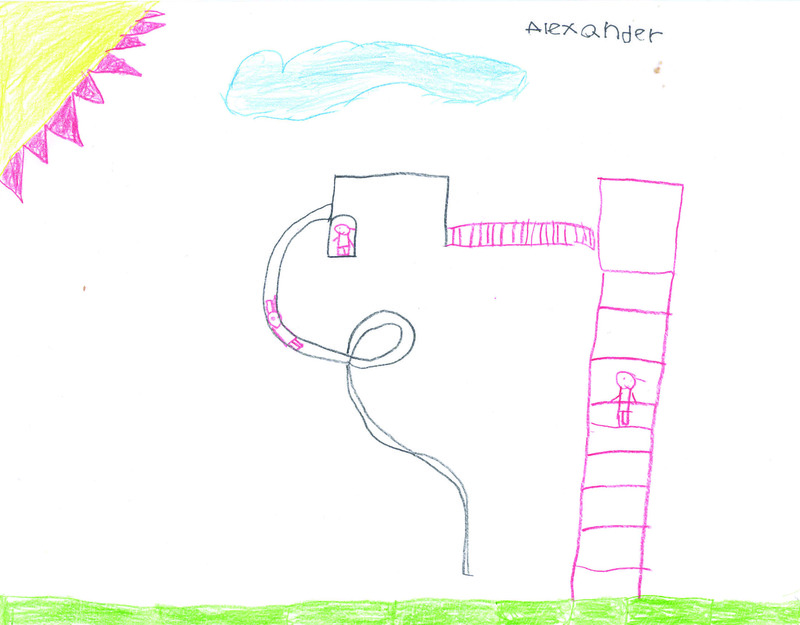 As families and schools get ready for the 09-10 application process, enjoy this delightful and well-crafted drawing of a magnificent slide. Thank you Alexander!